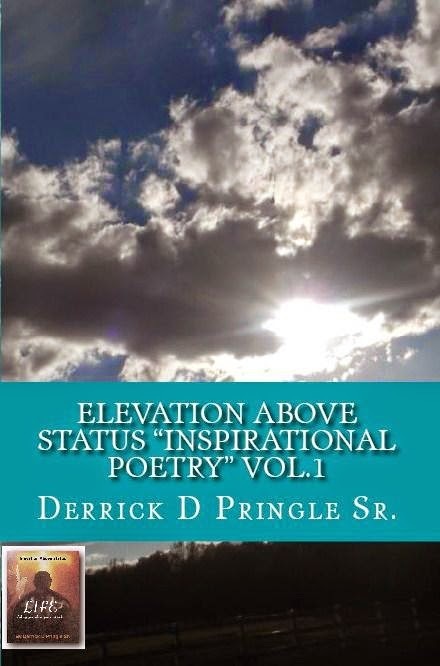 Elevation Above Status: If I Only Had The Chance © (Poem) By Derrick Pringle Sr. 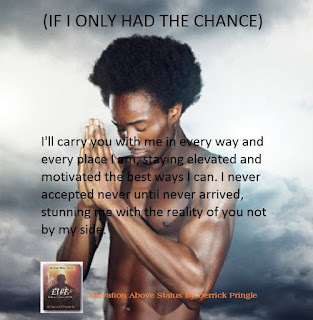 If I Only Had The Chance © (Poem) By Derrick Pringle Sr. It seems like yesterday you was here, and if I had the chance I would do all of the things I hadn’t while you were near. If I had the chance I would shower you with love and compliment your every existence. If I had the chance I would take advantage of the moment, by absorbing your every smile and breathing the air of your essence. If I had the chance I would love to hold your hand again and here that genuine advice from a true friend. If I had the chance I would exercise my new found knowledge on how to love and cherish every minute, as it was the last. If I had the chance I would share with you the good time memories we had and only focus on what made us laugh. To say I miss you is an understatement and the emotion that drives this feeling hasn’t yet been invented. 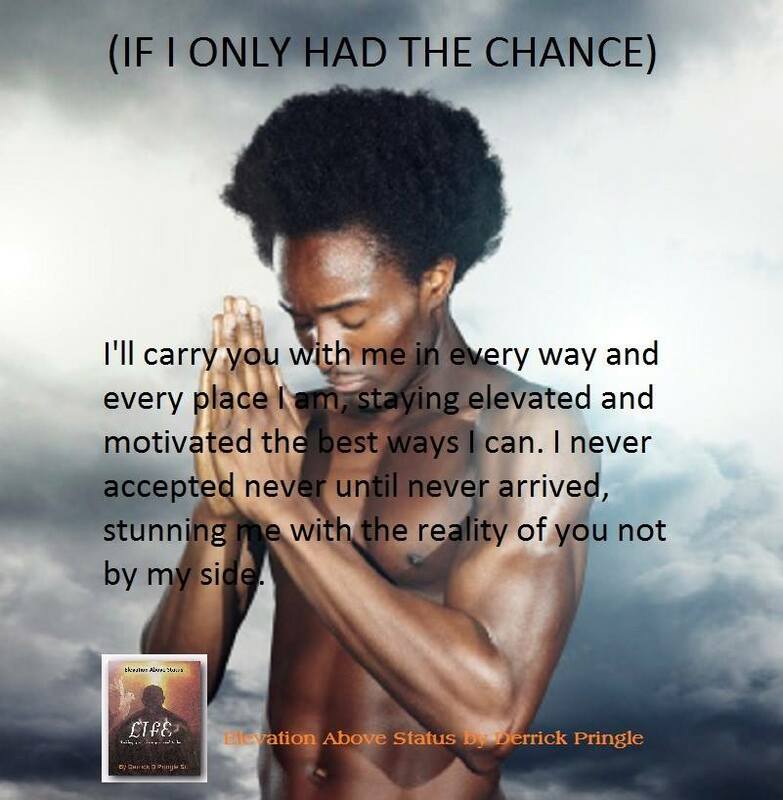 I carry you with me in every way and every place I am, staying elevated and motivated the best ways I can. I never accepted never until never arrived, stunning me with the reality of you forever being gone, and what we had, will just be that, no longer being alive. No more hugging you, looking in your eyes, hearing your voice or seeing your face when it sees me with the presence of joy and surprise. There is nothing I wouldn’t give for those memories to live, or even granted a peek at you, or just to give my soul for you to take a glance. 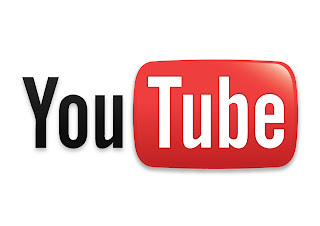 There is so much I would say and so many songs I would play, if I only had the chance.